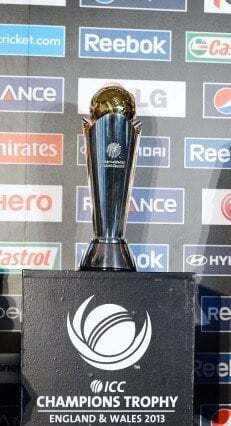 ICC Champions Trophy is known as the Mini World cup, as it is the next major tournament of ICC for limited over games. It began in the year 1998. Its been played approximately once in every two years. And till date, there have been a total of 6 editions of ICC Champions Trophy and the 2013 ICC Champions Trophy in England is the 7th. It is been said by ICC that this would be the last edition of this tournament as they need a ICC World Test Championship. Lets have a look at all the ICC Champions Trophy Records. Who will be the Winner of Seventh and the Last Edition of The ICC ICC Champions Trophy?? *There have been only one victory by 10 wickets and 8 victories by 9 wickets. * There have been 4 more 5 wicket hauls. * No bowler has taken 2 5 wicket hauls. * There have been 3 bowlers, Muralitharan, Dillon and Hondo who took 2 4 wicket hauls.